In this irresistibly charming chapter book, the charismatic Violet Mackerel knows how to stay upbeat—even when her throat feels as if there’s a cactus in it! 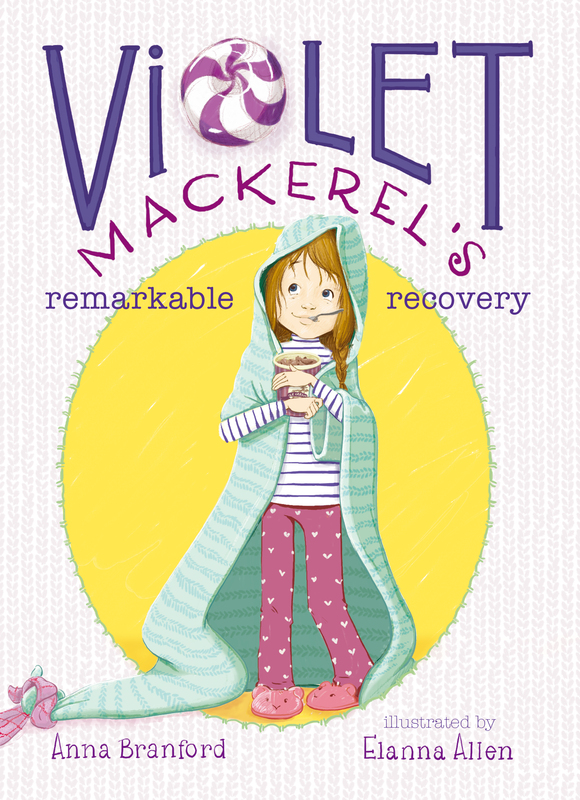 Seven-year-old Violet Mackerel has a new theory: If someone has a problem and you give them something small, like a feather, or a pebble, or a purple lozenge, that small thing might have a strange and special way of helping them. Violet gets the chance to put “The Theory of Giving Small Things” to the test when a bad case of tonsillitis requires the removal of her tonsils, and she suspects that the purple lozenge from Doctor Singh may help her in quite an extraordinary way. And indeed, with a freezer stocked with breakfast ice cream, a wonderful new friend in the waiting room, and the certainty that surgery will transform her voice into that of an opera singer on the radio, Violet’s recovery proves more than extraordinary—it is, unquestionably, remarkable. Violet Mackerel has an extremely sore throat. It feels awful to talk, terrible to swallow, and horrible to eat. Her older sister, Nicola, and her brother, Dylan, have just left for school. Violet has been home from school all week, and today Mama is taking her to see Dr. Singh. When Violet and Mama get to the doctor’s office, they sit in the waiting room. Mama knits a few rows of a soft, rosy cardigan. She is a very good knitter. Soon the lady at the desk says, “Violet Mackerel,” which means it is time for Violet and Mama to go and see Dr. Singh. “How are you this morning?” he asks, feeling her forehead. Dr. Singh presses a big, flat Popsicle stick on her tongue. “And again,” says Dr. Singh. Violet has had tonsillitis before. It is when two bits at the back of your throat, which are called tonsils, swell up and feel as though you have swallowed a cactus. Violet, however, does not think this is a good idea. She generally prefers not to have things taken out. Violet has never been in the hospital before and she quite likes ice cream. This is very interesting to Violet, who always thinks about singing when she sees Dr. Singh, even though she knows now that he is not really a singing sort of doctor. “How soon could I be an opera singer on the radio?” croaks Violet. Violet decides that hers will be the most remarkable recovery Dr. Singh has ever seen in his time. Violet thinks it is an excellent question. Dr. Singh pops open a packet of lozenges and gives one to Violet so it can start soothing her throat prickles right away. The purple lozenge looks like a precious crystal in her palm. And it gives Violet an idea. "Another volume in a successful Australian series. Allen’s grayscale drawings...both support and add appeal. This agreeable account should attract new Violet Mackerel followers." "Violet is worried about getting her tonsils removed, even with promises of ice cream.... Young readers will identify with her nerves and laugh at her description of feeling rhinoceroses in her belly rather than butterflies.... Violet’s kind, patient mother shines in the story, as Branford once again creates a warm world for Violet, one in which the protagonist’s optimism spreads to others without any hint of the saccharine. Many new readers will identify with the story, enjoy the accessible vocabulary, and appreciate the expressive illustrations...that grace almost every spread." "This follow-up to Violet Mackerel's Brilliant Plot (2012) retains all the charm and tenderness that made the first book such a treat and a welcome addition to books for early chapter-book readers. The illustrations, which sometimes work in place of the text, emphasize the story’s whimsical nature. Children facing their own trip to the hospital will find comfort in Violet’s experience, which is approached realistically yet gently." 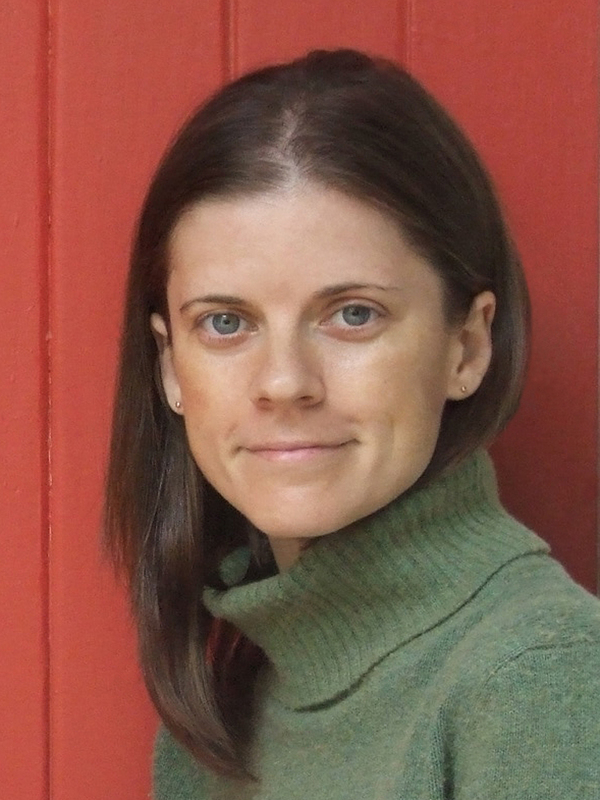 "The Violet Mackerel books are truly a gift to readers. The stories are unique and entertaining, and Violet is a wonderfully special person who is full of surprises. Just like the first Violet Mackerel book, this title will make readers feel happy inside, and it will remind them to appreciate and celebrate the Giving Small Things moments in their lives."